There are many styles of music. In this article, information will be included about four different styles of music, along with where that music is most popular, and a recipe from that place. The classical music capital of the world is Vienna, Austria. Many famous composers lived there, such as Wolfgang Amadeus Mozart and Ludwig van Beethoven, along with many others. 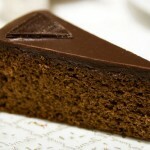 Below is a recipe for Sachertorte. Batter: Preheat the oven to 180-200 degrees Celsius (about 350-400 degrees Fahrenheit). Melt chocolate and butter in a double boiler over hot water. Remove from heat and let cool. Add the powdered sugar and the egg yolks little by little while stirring carefully. Beat the egg whites and add the white sugar. Mix into the batter and add the flour gradually while stirring. Pour batter into a greased pan. Bake at 165 degrees Celsius (about 330 Degrees Fahrenheit) for 50 to 60 minutes. Allow the cake to cool completely before removing from pan and before icing. 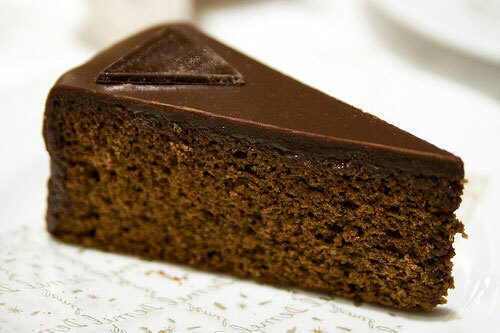 Once cool, remove the cake from the pan and then slice it horizontally. Insert a filling of the apricot marmalade between the two pieces of cake. Icing: Melt chocolate and coconut shortening in a double boiler over hot water and cover the top and sides of the cake with the warm icing. The Cajun music capital of the world is definitely New Orleans, Louisiana. Cajun music is the music of the natives of Louisiana descended from 18th-century Acadian immigrants, which combines blues and European folk music. Café Du Monde is an extremely popular café in New Orleans. It’s famous for its beignets, which are French donuts, and Café Au Lait, an unsweetened coffee you usually drink with your beignets. 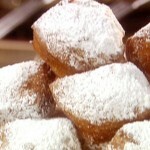 You don’t need sweetener for Café Au Lait because the powdered sugar off the beignets sweetens the coffee. 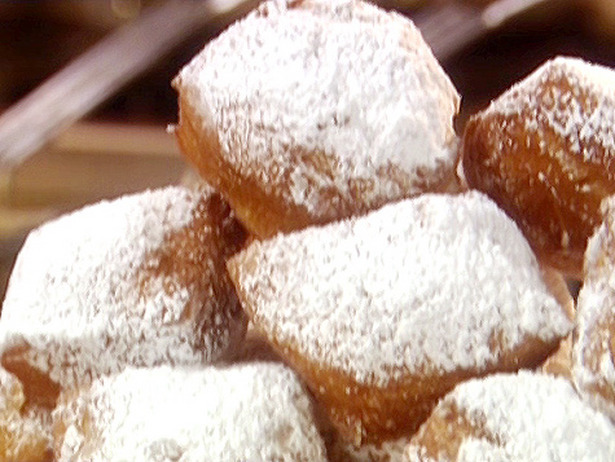 Below is a recipe for beignets. Cream together shortening, sugar, and salt. Add one cup boiling water and one cup milk. Set aside. Mix yeast well in ¼ c warm water. Add this and beaten eggs to the mixture and mix well. Add 3 ½ c flour and beat with spoon. Add another 3 c flour and mix. Put the dough in a greased covered container in the refrigerator. When ready to fry, roll out dough ¼ inch thick and cut into 3 inch squares with a knife. Use knife to cut ½ inch slit in the middle of each square. Fry in deep fat about 360 degrees until golden brown on both sides. Powdered sugar may be sprinkled on top. Drain on paper towels. Enjoy! There are many types of blues. One of the most popular is the Chicago Blues. Chicago Blues was developed in Chicago, Illinois, by taking the Delta Blues and making the harmonica louder, adding guitar, bass guitar, drums, piano, and occasionally saxophone and trumpet. 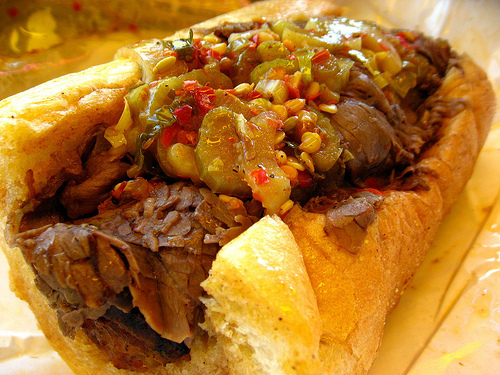 Below is a recipe for Chicago’s Famous Italian Beef Sandwiches. Preheat the oven to 300 degrees Fahrenheit. Dry the roast, season it with salt and pepper, and place it on a rack in a roasting pan. Strew the onion over the top of the roast and put the pan in the oven. Roast until an instant-read thermometer inserted into the center of the meat reads 140 degrees Fahrenheit. Remove the roast to a platter or cutting board, cover loosely with aluminum foil, and let rest for a half hour. Leave the roasting juices in the roasting pan and add all the other ingredients except the bread. On the top of the stove, heat and simmer the mixture for 15-20 minutes, adding any juices that collect from the resting beef. Slice the beef thinly and arrange the slices in a dish. Strain the juice mixture, pour it over the beef, and refrigerate for 8-12 hours. Heat the roast beef and sauce thoroughly. 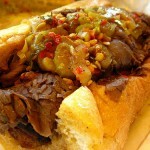 Put the sliced beef on Italian bread or rolls and spoon some of the sauce on top or serve it alongside for dipping. New York City is the capital of Klezmer music. Klezmer music is a fun and cheerful type of music, which features the clarinet, along with many other instruments. 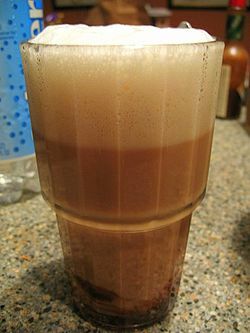 Below is a recipe for the New York Egg Cream, a delicious treat. 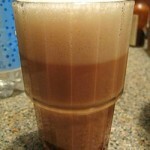 Pour milk into a glass and then add sparkling seltzer water until a white head reaches the top of the glass. Spoon in the chocolate syrup. Ta da! I hope you enjoyed these recipes and information about these four styles of music!